Born in 1952, has a diploma from secondary school. Industrial entrepreneur (1977 – 87). An agricultural entrepreneur since 1970, he runs the Camugliano agricultural estate. He is a member of the Steering Committee of the Ente Cassa di Risparmio di Firenze and President of the Ambulatori della Misericordia. 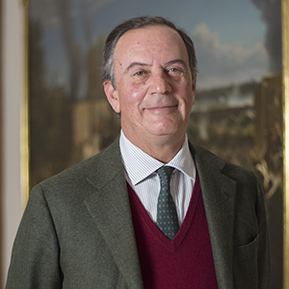 He has been a member of the ADSI (Italian Association of Historic Residences) since 1981 (Villa di Camugliano, Ponsacco , PI and Palazzo Niccolini, Florence), a Councillor for the Tuscan section since 2008 and a National Councillor between 2010 and 2013.